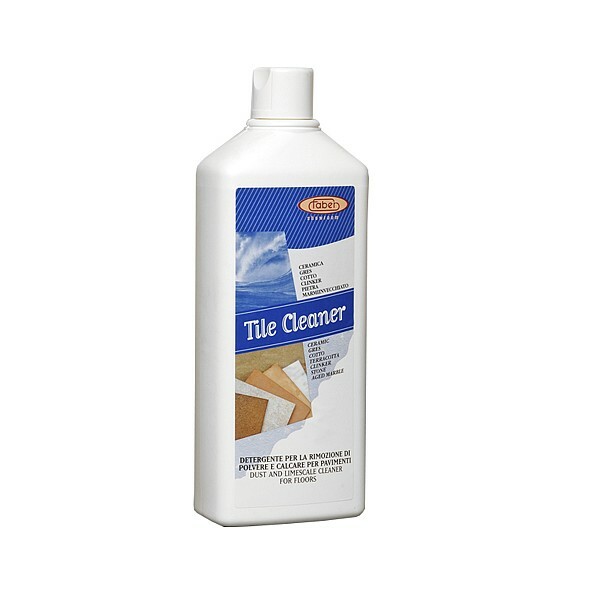 TILE CLEANER is a slightly acidic, water-based cleaner for deep cleaning of different surfaces. The special formula allows the product to penetrate inside the pores and texture deep down. In this way, TILE CLEANER is able to dissolve and remove the dirt that has built up on the material, even in cases of old, stubborn residues to restore the original appearance of the material. When used undiluted, TILE CLEANER serves to remove surface patinas from incorrect routine maintenance carried out using unsuitable cleaners and it is also active on patinas caused from grout and seals, whether cement or epoxy based. TILE CLEANER is recommended for use on all materials that are not acid sensitive.